hey girl hey, brittany here. a beauty guru who has been in the wedding industry since 2012. i have done hair for over 100 weddings and counting. i am newly married to my high school sweetheart, maxwell. i get it, wedding planning is crazy, i am here to make it less crazy, i guarantee. being a recent bride, i know all that goes into, indeed, the most magical day OF YOUR LIFE thus far. i plan to be your timeline coordinator, cheerleader, hairspraying queen, and hair perfectionist. 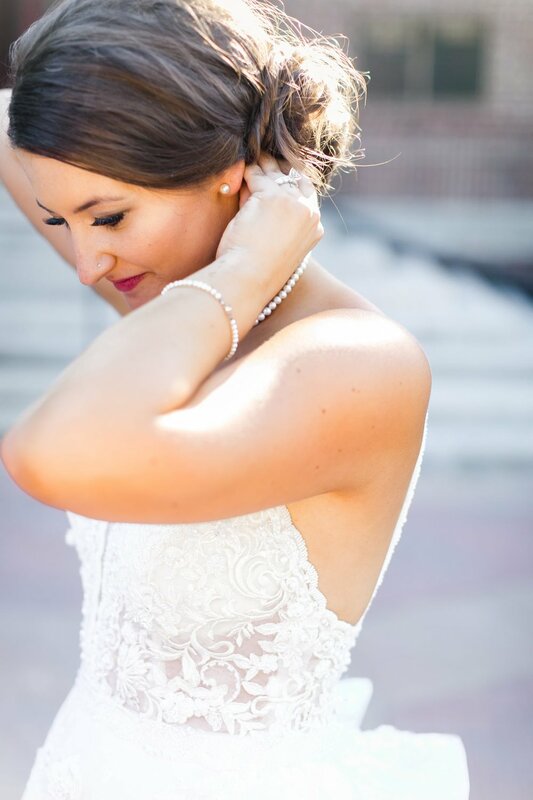 BESIDES SPENDING EVERY FRIDAY AND SATURDAY MORNING MAKING MY BRIDAL PARTIES BEAUTIFUL, YOU CAN FIND ME AT THE LOCAL COREPOWER YOGA, PLANNING A TRIP TO DISNEYWORLD, PLAYING WITH MY PUPPY: BENNY, SOAKING UP THE SUN AT MY CABIN, CLEANING/DECORATING MY HOUSE, OR OF COURSE, LIKE EVERY TYPE A GAL, REPLYING TO EMAILS ASAP!